If your attic, loft or ceiling areas fill with cluster flies at certain times of the year, be assured that you’re not alone. Flies get in our homes pretty much anywhere we live. The occasional buzzing is only a minor annoyance, but when you have dozens or even hundreds of flies living in your attic space or loft areas, it can be a disturbing feeling. You’ve been attacked by the “common attic or cluster fly“! And it just so happens that your home’s high up spaces like an attic have somehow become involved in this cycle. It’s now your charter to eliminate flies or at least get in a position to control these pesky winged insects in your attic. Read on to learn exactly how to go about it. Cluster flies are simply a type of fly, not too much unlike the typical fly you find up against your window in your house. You’ll know one because it’ll be a little larger than you’re used to seeing. It’s coloring will strike you as being more black, and they’ll be moving a little bit slower than those pesky flies swarming around your summer picnic in the park. These insects are born out of earthworms, if you can believe that, and like to overwinter in protected areas. Most commonly, they move from the ground to your attic for the winter when it gets cold; thus, the common name they have of attic flies. By instinct, they seek shelter away from the elements, such as in the fall when it gets cold. Naturally, your house is warmer. And the easiest entrance is usually through external gaps leading to your attic. So it’s very common to see these flies swarming your attic. They also tend to appear in early spring when things start to warm up. When you notice this, it’s time to think about extermination. But do you call the exterminator or can you get rid of attic flies yourself? Of course, if your attic is filled with these flies already, you aren’t immediately concerned with how to keep them out–a problem you should deal with later. Right now, you have to control the fly infestation in your attic directly. At this point, there is no real “humane” approach when it comes to controlling these little intruders. 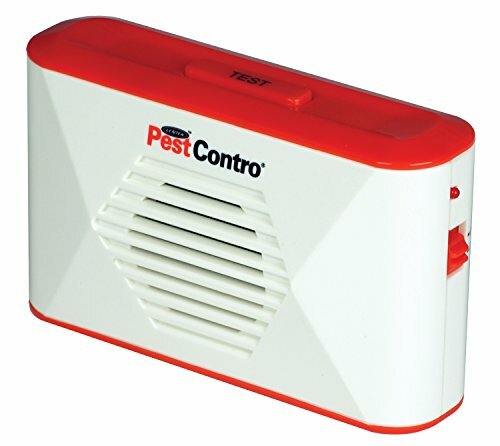 They are pests, and unfortunately you’ll have to kill attic flies that have taken over. There are plenty of products on the market that help in getting rid of attic flies. A fogger pesticide is an inexpensive and easy way to help you eliminate all of the insects living around your attic. This is one sure way to know you’re covering the entirety of the space in question. This includes all cracks or small cavities where the flies might live or enter your attic. The main rule is to locate the fogging can somewhere central in your attic. Once you release, give yourself a couple hours before returning. The product linked above will leave no sticky residue or stained surfaces. Once dry, you won’t notice any odor either. 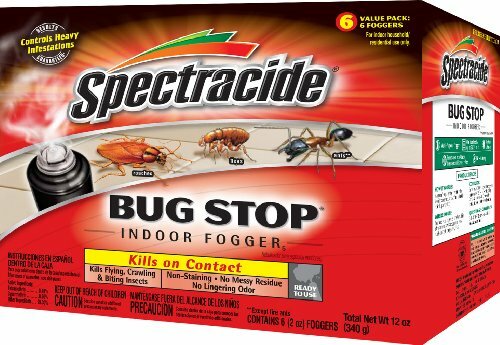 While this product is for many different insects, you can be assured that cluster flies will be taken care of. In the case of bad infestations, you may want to reapply a few times until your uninvited guests are no longer active. For the ones that migrate into your home for the winter, one application will do the trick for the remainder of the season. For best results, simply reapply at the beginning of the next cold season. Fogging can also help eliminate other small critters you may find in your house, like the fast-moving silverfish bug. Another way you can win the war against these flies is to send them a signal they absolutely CAN refuse. Similar to a fogging solution, an ultrasonic device can reach the entire space you’re trying to control. This method of course is much more humane (if you care about that sort of thing when it comes to insects!). Simply plug in one or more of these handy gizmos, and watch the them disappear. The frequency emitted from this device is inaudible to humans and pets. The main benefit to using this approach is that there are no poisons used. Additionally, you don’t have to leave the area temporarily while odorous chemicals take affect. These gadgets are extremely low power and will last for years. This means you don’t need to do anything next year. As an added bonus to removing cluster flies, you’ll see other insects and/or rodents leave the premises as well. Probably the only negative with the ultrasonic solution is that an electric plug is required. Depending on how finished your “unfinished” spaces are in your house, not all of us have outlets in our attics. Thankfully, a few manufactures make these devices battery operated. You’ll definitely appreciate the true portability of these devices because you can place them in areas where there are no plugs. Click above to check out the most popular one on Amazon. 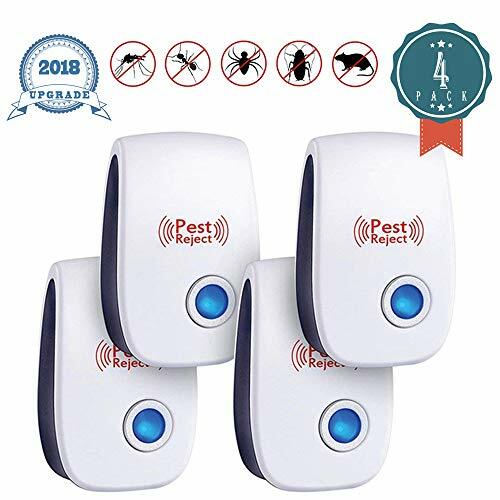 This wireless pest remover is wireless in more than one sense…electric, but with no plugs and invisible waves to do the work for you. This next option moves us from seeking out our enemies to attracting and catching them. Sticky paper is pretty much THE classic way to catch and kill flies of any kind. This is by far the easiest remedy as there are no harsh chemicals, no noises, and no electricity involved. Simply pull out the paper (or ribbon) from the rolls and let hang in your attic. About 12″-18″ should be fine. To keep away from pets, just make sure they are at high enough distances to not be easily accessed. Fido or Kitty probably isn’t roaming around in your attic though! When the exposed ribbon fills up with dead attic flies, simply cut and pull out another length of sticky stuff. For best results, hang several from the ceiling or wherever you see flies grouping together. While the flypaper mentioned above is the ol’ standard in fly catching, it doesn’t always work as well as you might expect. While the flies will be attracted to the paper, it may not be enough to hang it there and assume they’ll come to it. Enter Sticky Flytrap 2.0 with ultraviolet light (who says you can’t invent a better mouse tra…err…flytrap? What makes the ultraviolet sticky trap better is it’s shear ability to attract anything small that has wings. While it does require an outlet, it is relatively small and highly effective. The only downside is the price, but most users will tell you it’s worth it. The glue surfaces do need to be replaced but you can easily buy larger replacement “fly trap boards” much more cheaply and cut them to size to save money over time. If you have a large infestation in your attic, then you probably need a large solution. A few sticky traps or launching airborne pesticides may not be your preferred choice. If this is the case for you, your best option to get a good-sized bug zapper. The one highlighted above is made for fast flying insects. You can hang, mount or simply set this zapper in your attic. 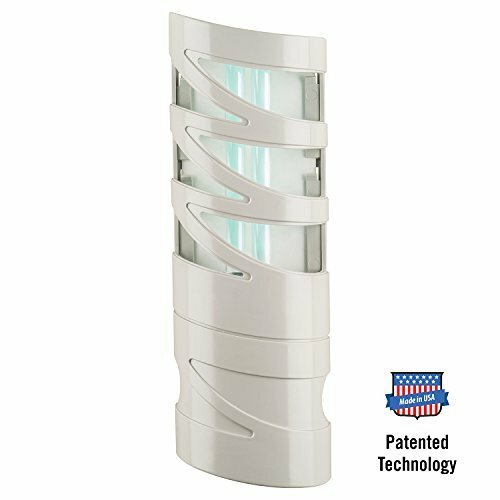 It’s outer safety mesh protects you and your family, and the electrical grid is only accessible by small insects. One good aspect of this is it’s easy to clean. No replacement parts to buy. Just pull out the bottom tray, empty out the zapped bodies and replace. It’s also washable if you want to keep it clean in between seasons. The ultraviolet bulbs will last you for years. One issue with a larger “appliance” like this is you may not want it plugged in and running all the time. If that’s the case, just add a timer and have it on part of the day. The zaps are loud, but most likely you won’t hear the flies getting fried from below your attic. Made specifically for cluster flies and very useful for attics, a trap like this one works by catching flies as they “wake up” and start moving toward the warming outdoors–windows or screen openings you might have in your attic. 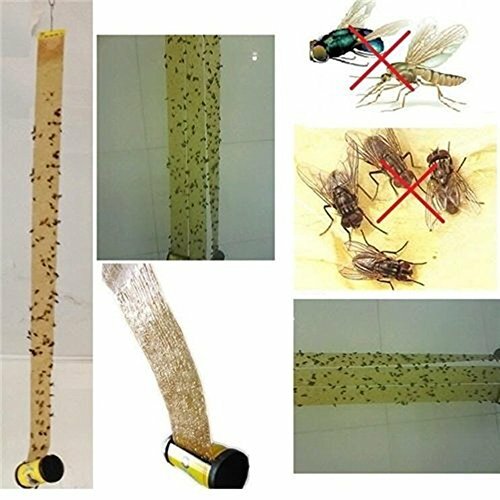 These devices are very effective, and are made to capture hundreds or even thousand of flies. These might be good if you’re only noticing a few flies and want to take control before anything gets out of hand. Close all openings to your attic — Read below for more info on this. If you can shore up any small openings in your house, then the flies will never be able to escape. They are unable to breed indoors, so you don’t have to worry about them reproducing if you lock them in. Truly the best way to solve your problem is to stop them from ever coming in in the first place. Your attic should not be a fly motel, so there should be no welcoming doors or windows for them to get in. Apply insecticide to the outside of your attic to prevent flies from coming in. Do this in the summer or early fall at the latest. Remember, attic flies want to “cluster” indoors when it starts to get a lot cooler outdoors. Spray as best you can around your roof, chimney, eves, ventilation holes, etc. These guys will be repelled by the chemicals and retreat from going in your attic. Close up openings where flies get in. Use caulking to seal up gaps, cracks and other wide seams that lead into your attic. Patch up torn screens and seal gaps around electrical or plumbing penetrations. They are very good at finding any available gap or hole in your attic, so be sure to seal up the thinnest of joint gaps such as between trim and siding and particularly at the eaves. Doing so will also help keep out other pests like ants and of course, everyone’s favorite the household spider. To get rid of attic flies once they’re dead, simply vacuum them up. You may even find that some are still alive but moving slowly. Get rid of them too! If you don’t want to deal with this stuff yourself, by all means, hire a professional to come exterminate and solve your problem. Whatever you do, if you can find a more permanent solution to eliminate your attic fly problem for good then that’s the best remedy. 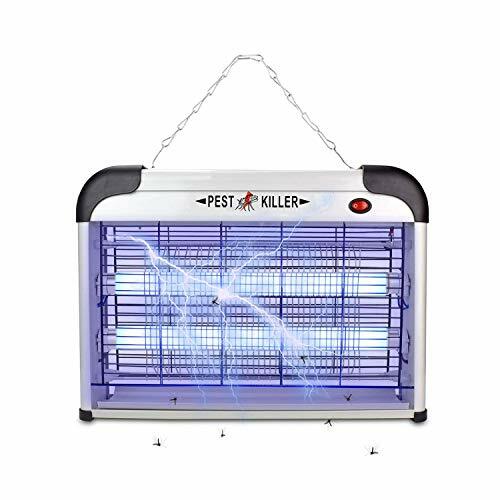 Do you want to have to kill cluster flies repeatedly, season after season, or do you want to get rid of these pests for good?